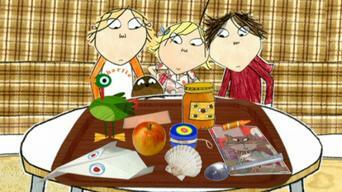 How to watch Charlie and Lola: Series 3 (2007) on Netflix Canada! Sorry, Charlie and Lola: Series 3 is not available on Canadian Netflix, but you can unlock it right now in Canada and start watching! With a few simple steps you can change your Netflix region to a country like Argentina and start watching Argentine Netflix, which includes Charlie and Lola: Series 3. 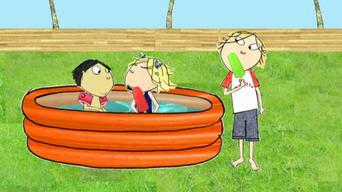 We'll keep checking Netflix Canada for Charlie and Lola: Series 3, and this page will be updated with any changes. 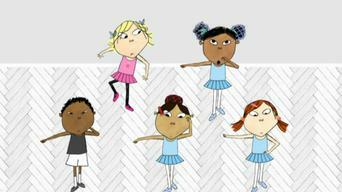 Charlie and Lola: Series 3 is not available in Canada BUT it can be unlocked and viewed! This animated series follows the adventures of kindhearted 7-year-old Charlie and his adorable but high-spirited 4-year-old sister, Lola. What's the greatest thing a fun-loving 7-year-old boy can possibly have? Why, a 4-year-old sister, of course! 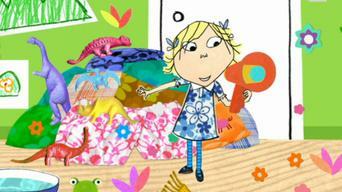 Series 1 of Charlie and Lola has 26 episodes. Because different Netflix countries have different availability for episodes, you'll need to check the episode listing below to see which are available in Canada. 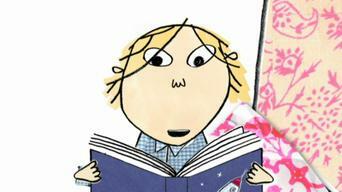 Lola is a very fussy eater who will not eat mushrooms, peas, fish fingers or tomatoes! Lola is determined to be the Sun in the school play -- yellow is her favourite colour. Something is bothering Lola when it's time to get a haircut. Charlie has promised Marv that he'll play football, but poor Lola has a very nasty cold. You cannot have a picnic without swirly tennis and boiled eggs -- and, of course, sunshine. Charlie wins first prize at school for his fantastic homemade rocket. It's not a toy, Lola! Granny and Grandpa live by the sea, where there are pony rides and lovely things to eat. Lola is terrified of her first-ever wobbly tooth, until she learns of the Tooth Fairy. Snow is on the way, and Lola is bursting with excitement. Lola just loves snow. Lola wakes up to find that everything has gone completely, extremely white! Lola simply does not have time to play today -- she is far too extremely busy. Lola has a fabulous new alligator costume, and she's never going to take it off -- not ever! 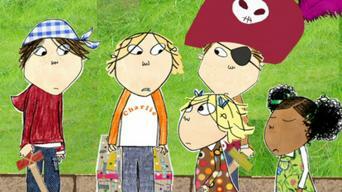 Series 2 of Charlie and Lola has 27 episodes. Because different Netflix countries have different availability for episodes, you'll need to check the episode listing below to see which are available in Canada. Lola and her imaginary friend Soren think they've spied an ogre outside. Lola won't tidy up the bedroom, and however hard he tries, Charlie can't persuade her to. Charlie has learnt how to do magic tricks, and now Lola wants to learn how, too. It's Charlie's birthday party, and some monsters take a fancy to Lola's fairycakes. 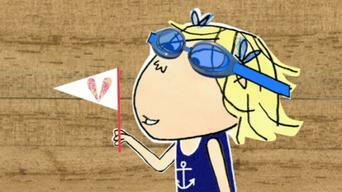 Charlie and Lola embark on an epic pirate adventure in the dentist's waiting room. Charlie's dinosaur collection is missing a Gigantisauras, but Lola might have it in hers. 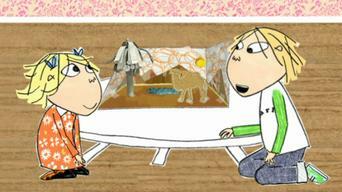 Charlie helps Lola when she worries that her best friend Lotta doesn't like her anymore. Lola feels really lucky when her grandparents give her and Charlie money for the cinema. Lola's treasured red shoes no longer fit, so she and Dad have to look for some new ones. Charlie is growing a tomato plant, and mum gives Lola a seed so she can grow something. 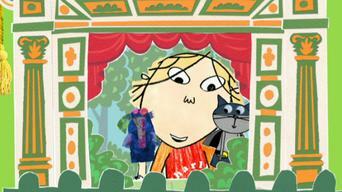 Charlie and Lola's circus show is spoiled after Charlie breaks his arm playing football. 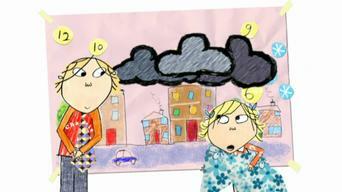 Lola and Lotta borrow each other's things for fun, but then Lola loses Lotta's coat. 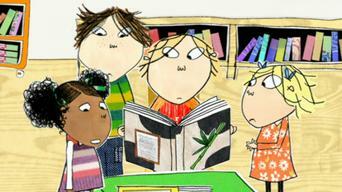 Charlie and Lola are going to see a Chinese puppet show, but they keep squabbling. Lola finds the egg and spoon race to be a big challenge on her first school sports day. 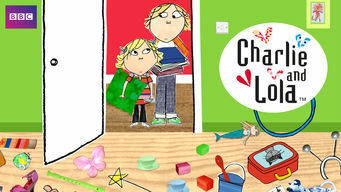 Charlie and Lola have chores to do before they can watch TV, but is time running out? Lola is chosen to look after Bert, the school guinea pig, during the holidays. What If I Got Lost in the Middle of Nowhere? 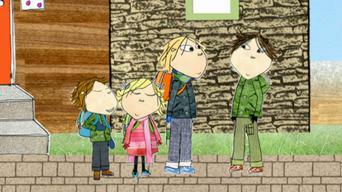 A surprise school trip to a maze is underway, and Lola worries that she might get lost. Charlie and Marv are doing their Spanish homework, and Lola suddenly wants to go to Spain. Lola spends all her pocket money, so she can't afford to buy a toy at the zoo. Can You Maybe Turn the Light On? Charlie tries to help Lola get over her fear of darkness. Charlie is out with Marv, so Lola plays with Morton, Marv's brother. But he's too shy! Everyone has to draw a picture of his or her house for school, but Lotta needs encouragement. Lola is upset when Charlie's pet mouse Nibbles dies, but then they get a new mouse. 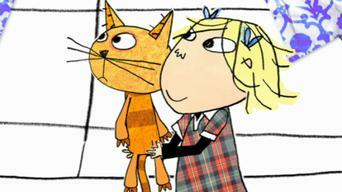 Charlie persuades Lola that superstitions about bad luck aren't really true. 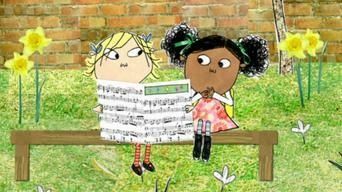 Charlie and Lola go on a recycling mission and decide to involve their school. Lola is fed up with schoolwork -- especially reading. Charlie helps her to enjoy reading. 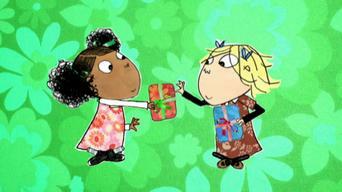 Charlie and Lola are hoping for the best Christmas ever in this children's special. 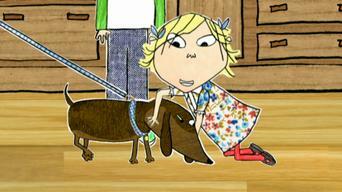 Series 3 of Charlie and Lola has 27 episodes. Because different Netflix countries have different availability for episodes, you'll need to check the episode listing below to see which are available in Canada. 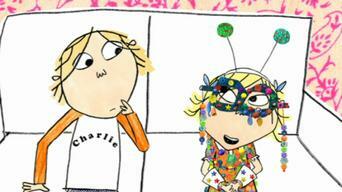 The adventures of seven-year-old Charlie and his feisty little sister Lola. Lola is looking forward to going back to school for the Autumn Term. 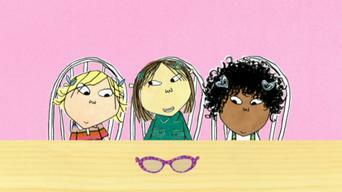 Lola is going to have her eyes tested at the optician's but she's not at all keen. Lola really doesn't like thunder. 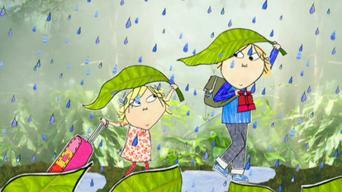 Charlie distracts her with raindrop races and bouncy hailstones. Lola is going to Lotta's house for her first ever sleepover and it couldn't be more exciting. Lola, Charlie and Arnold Wolf try to cool down with fanning, panting and then ice creams. 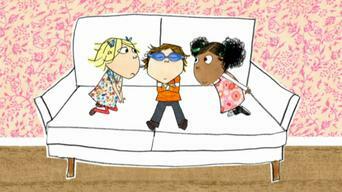 Charlie and Lola take Sizzles back to their flat and set about 'training' him. 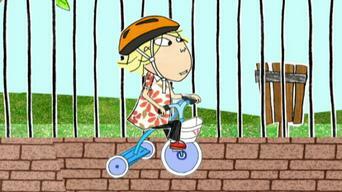 Lola and Lotta both love their tricycles but when Lotta is given her big cousin's bike, Lola wants a big bike too. Lola and Lotta have got a pretend shop that sells completely everything. Charlie and Marv have to come up with an invention for a school project by tomorrow. 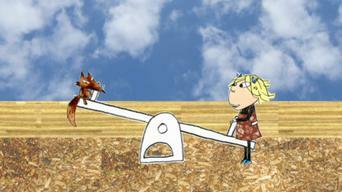 Lola and Lotta are practising their song for the school concert that evening. Then Lola gets a fit of the hiccups. When Arnold Wolf invites everybody to his house for a party Lola doesn't quite listen to the instructions properly, so her and Charlie miss the party! Lola always loves the presents her best friend Lotta gives her, until the hat! It's itchy and it has 'dangly bits'. Mini Reader tries to teach Lola to tap dance but that proves to be too shuffly and not tappy enough. 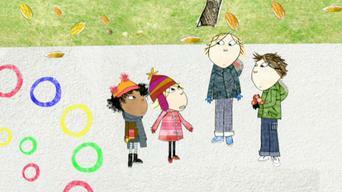 Lola finds a toy rabbit near school and Charlie puts it on the school wall in case its owner comes back to look for it. It's raining and everyone is bored, including Sizzles. The toy cupboard is full of boring toys, until Marv finds an intriguing box. The 'Goody the Good' books are Lola's favorite. Goody the Good is helpful, and she is good! So Lola decides she will be helpful and good too. Once they understand what a fossil actually is, Lola and Lotta are determined to find one, though Charlie isn't so sure they will. Charlie, Lola, Lotta and Marv have been growing a pumpkin for the Halloween party at school, but when the day of the party arrives, disaster strikes! Lola gets upset when she witnesses Charlie and Marv 'play-fighting' and thinks they are not best friends any more. 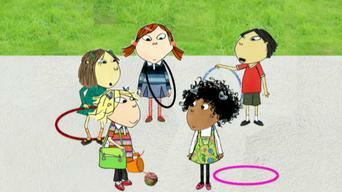 Charlie, Marv, Lotta, and the whole school is hooley hooping, and Lola has had enough. Mum and Dad let Charlie and Lola go 'camping' in the garden. Charlie is well prepared and is all excited, but Lola isn't so sure. Having begged Granny and Grandpa for a scooter, Lola suddenly decides that she now wants a pair of real, actual ice-skates. 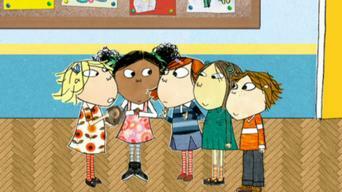 Lola promises to play beads on Friday with her friend, but then Marv invites her to a special party on the very same day! What's Lola going to do?! It's Save An Animal week at school, and Lola and Lotta are horrified to learn that all sorts of lovely animals are in danger! Playing Piggy-in-the-Middle with fuzzy pig in a fuzzy felt jungle is good, but you definitely need two people.